1. 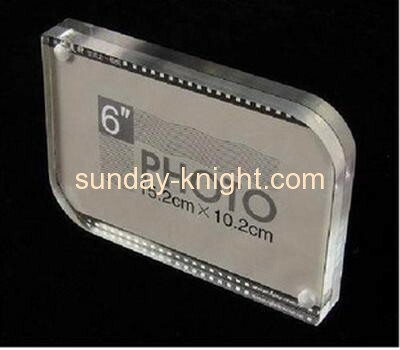 Quality & Service :We provide acrylic photo frame to our clients with great quality and great customer service. 2. Quick Lead Time: We are dedicated to providing the quickest turnaround time and work very hard to ensure that your deadline are met. 3. Unbeatable Prices: We strive to find ways of reducing our production costs,and passing the saving overs to you. 4. Brand Awareness: The goal of any stong brand is achieve a level of awareness that instills the idea of quality and value into all of your customers. 5. Samples Cost:the extra acrylic picture frame sample costs will be refunded. 6. After Sales Service:our after-sales terms will follow up your sales status so that we cold improve our sales service.